ABOUT: Running on Taito's Type X arcade board, Chaos Breaker is a fantasy-themed sprite-based 2D fighting game with characters that look to be out of the Dungeon's & Dragons or World of Warcraft realm. 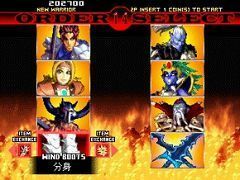 Players select a team of three characters, much like in the King of Fighters series. 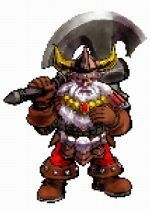 There are six different races featured in the game including: human, dark elf, elf, ork, dwarf and undead. In Chaos Breaker, players can also collect various RPG-inspired items and can use them as they advance through each level. There are many different items in this game including: healing potions, protection rings, magical scrolls, spears, hammers, defense shields, invisible cloaks, wind boots, death staffs, lucky coins, and life absorption swords. 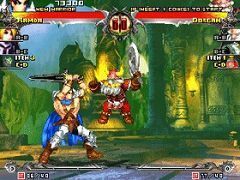 In 2004, the title released exclusively in Japanese arcades. 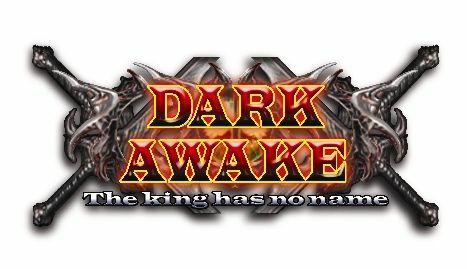 After 6 years without any sort of console release, Chaos Breaker has been confirmed for release on PSN this Summer under its pre-production name, Dark Awake: The King Has No Name. The publisher Recom acquired the rights to the game and is bringing it to the PS3 this Summer for 2000 yen in Japan! No confirmation on US/EU dates just yet. The home version will have trophy support, online mode with ranking, and practice mode. 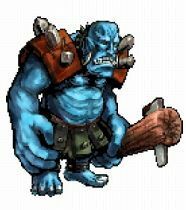 That is one mean-lookin' troll. 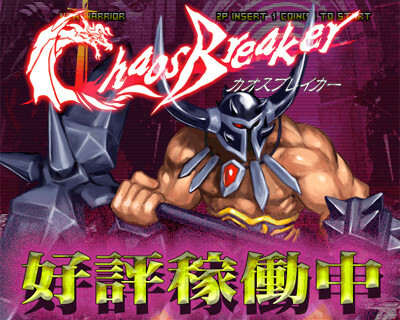 I heard about Chaos Breaker a few years back, but finding any information or even screenshots of the game seemed like a lost cause (which is primarily why the game wasn't featured on TFG). 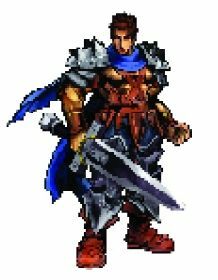 From what I've seen, it's a very sharp-looking and well-animated 2D fighter and the character designs aren't bad either.